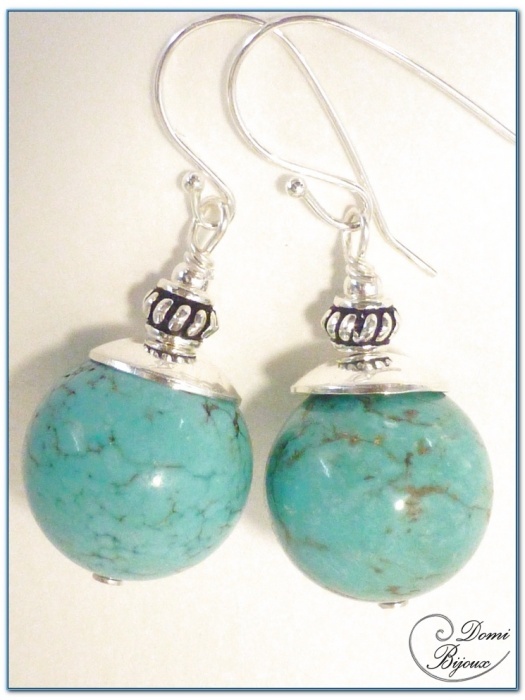 This silver earrings are made around two 14 mm diameter turquoise howlite pearls. 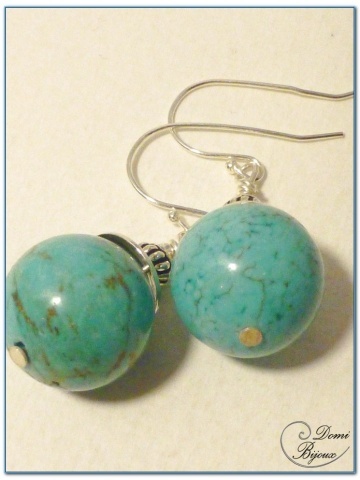 Very nice colour to wear in spring and summer. 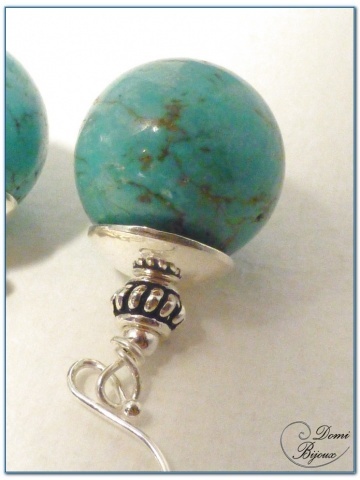 This natural pearls are mounted with different silver beads. Two silver hooks complete this assembly. Like all the differents elements are silver925, there is no risk of allergie.